Happy Monday friends! What else to make your Monday better than a yummy little cocktail recipe? Ever since we did a little Fall frolicking at our favorite apple orchard, we've had apples on the brain. And in our bellies. We've pretty much have been consuming them 24/7 since our return. Someone might have gone a little apple crazy in the baked goods section of the store. 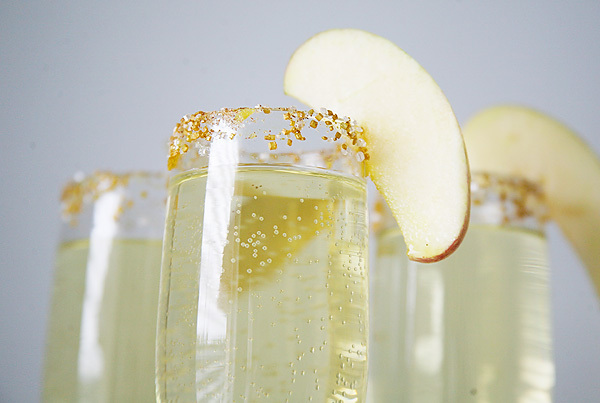 And apples were totally the inspiration for our latest little cocktail - the Apple Cider Mimosa! 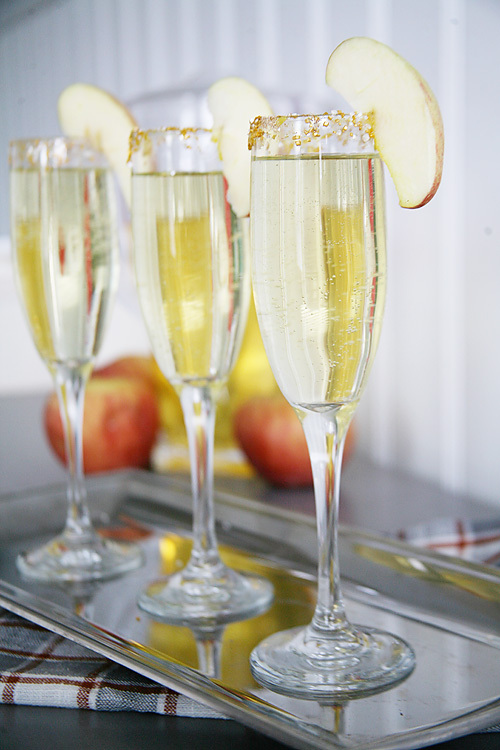 The Apple Cider Mimosas are so so yummy! And super easy to make! They only take a few ingredients and are like putting a little taste of fall right in your mouth. With all the fun fall holidays coming up, and tons of entertaining scheduled on the calendar, we know we will be whipping out this easy recipe repeatedly. 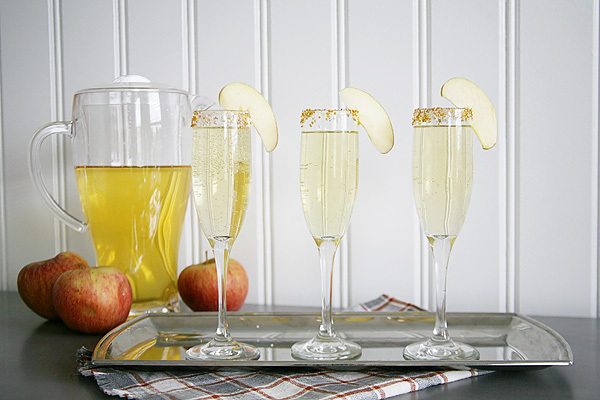 From brunches to Thanksgiving dinner to maybe even a little pre-trick-or-treating happy hour, Apple Cider Mimosas are the perfect little crowd pleasing drink. Besides, how else will we put all those dozens of apples we picked during our fall family fun to good use? 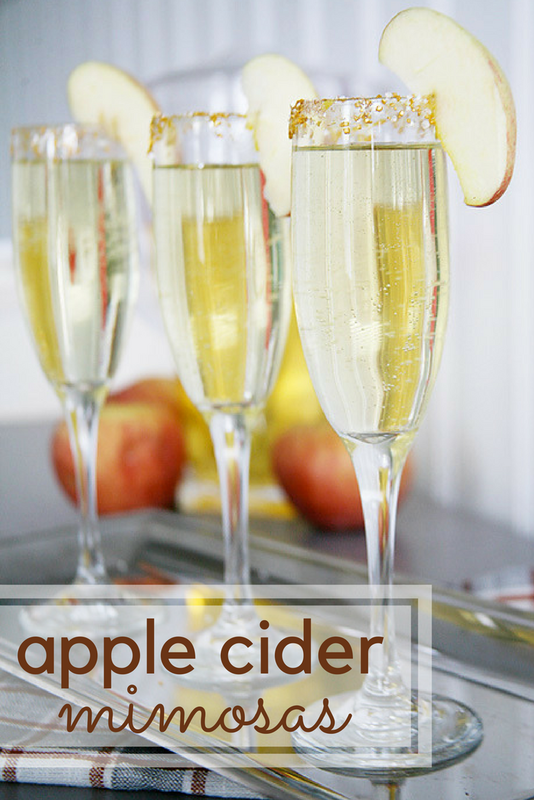 Check out the full recipe for Apple Cider Mimosas over on Savvy Sassy Moms, whip up a batch for tomorrow night, and thank us later!